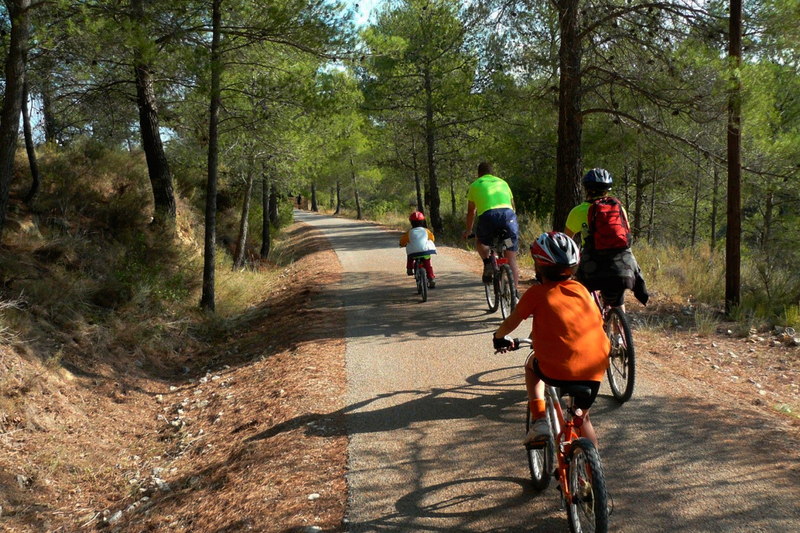 HIRE OF BICYCLES, GREENWAY TRANSFERS AND OUTDOOR ACTIVITIES IN A BIOSPHERE RESERVE. Come and enjoy the greenway with ESGAMBI. Terres de l'Ebre, we are the Biosphere Reserve. Living the experience about practising bike touring in a fully contrasted territory to discover. 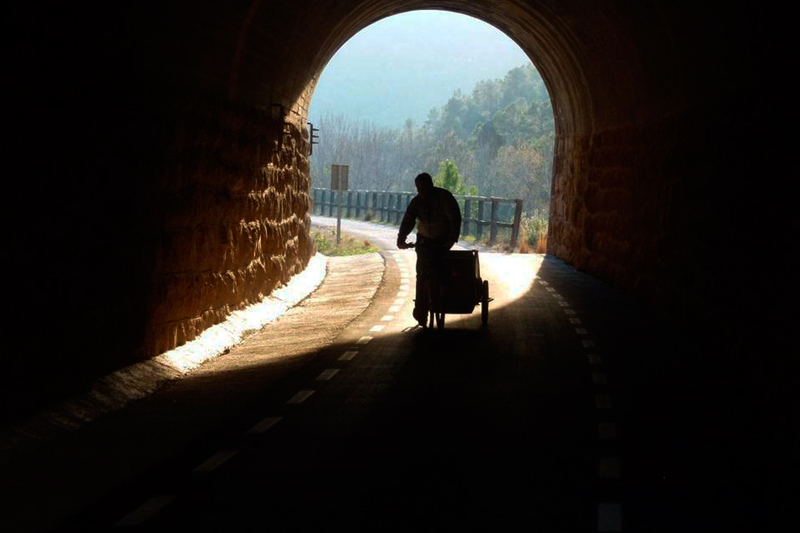 Discover the green way of Vall de Zafán by pedalling. From the mountain to the sea through two natural parks: Els Ports and Delta de l'Ebre. Do it in family, with your couple or with your friends because the greenway is suitable and safe for everybody as it is a road not suitable to vehicles. 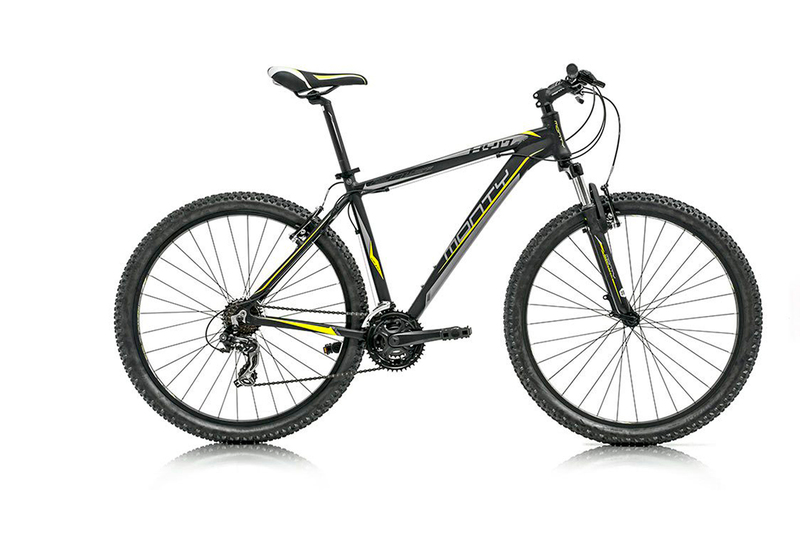 We offer you the experience over 20 years practicing bike touring in our territory. Terres de l'Ebre occupy the southern of Catalonia and they extend on two rivers of Ebre, from the end of Aragó to the Mediterranean. This territory is made of two interior regions (the Terra Alta and the Ribera d'Ebre) and two littoral regions (the Baix Ebre and the Montsià). We can highlight its great natural wealth, with two natural parks: a mountain one, Els Ports, and a sea one, El Delta de l'Ebre. In addition, these parks are connected by the most beautiful green way of the 'Estat' and the majestic river Ebre, with a warm climate most of the year, a quality gastronomy and a variety of activities. No doubt these lands offer us an incomparable setting to discover, experience, come across and develop all kinds of pedagogical projects. Adventure, nature, traditions, history, culture, lifestyle, language... they are les Terres de l'Ebre. Located between Catalonia, València and Aragó, this calcareous mountain range, scarred and abrupt relief that conforms El Parc Natural Dels Ports has been humanized from prehistoric times. However, the territory of Ports is now presented as a natural place full of wildlife. The most distinctive feature of the landscape of Els Ports is undoubtedly its sheer relief and steep of authentic mountain range which rises steeply among the neighbouring agricultural plans. The origins of the greenway lane of the Vall de Zafán remount at the beginning of last century when the project of railway line of Vall de ZafÁn began. It was intended to join La Pobla d'Hijar with Sant Carles de la Ràpita. 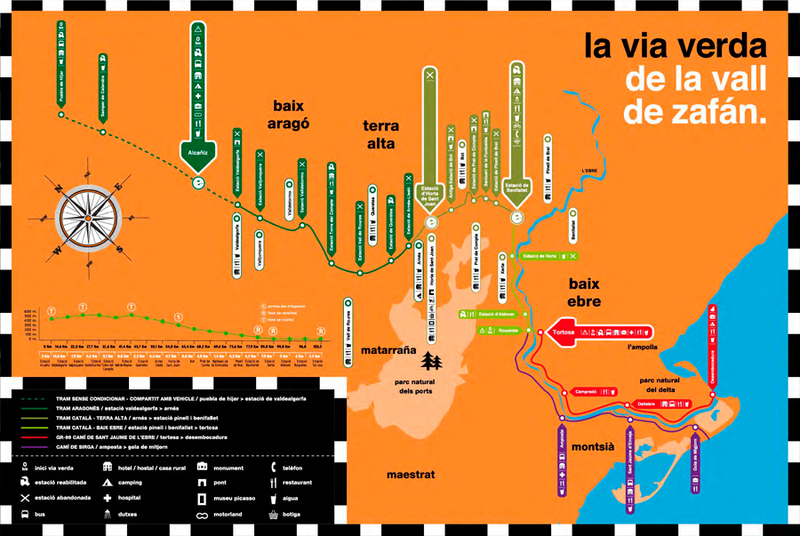 Two closures of the line, unfinished stretches and the big Battle of Ebre are some of the episodes that they write and explain the history of the railway, reconverted as a greenway for an exclusive use of cyclists and walkers some years ago. Clic on the Grennway Map to download it, and print or save it if you want to document to prepare your activity. 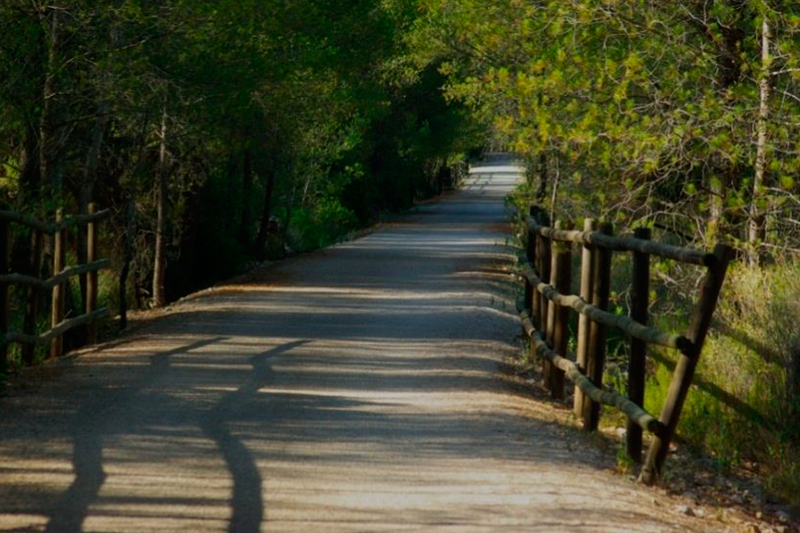 Enjoy the Greenway the way you like. "WE ALREADY HAVE 20 YEARS"
To celebrate the 20th anniversary we have moved to a new store, a more spacious and comfortable one where you can find our services: All kinds of cycles and accessories, repair shop, information about the Greenway of Vall de Zafán and tourist information of the territory. Make a way with ESGAMBI. Consult us and we will help you discover the Green Way in the best way.